The past decade North America, and more specifically the United States, has experienced a boom in the production of natural gas. This jump in gas extraction was driven by a technology that was developed to extract gas deposits from difficult to reach geological formations called hydraulic fracturing, or “fracking” for short. Fracking is conducted by excavating a deep gas well, on the scale of 1­2km, and then pumping large quantities of fracking fluid - composed of water, sand, and a variety of chemicals - into the well "Natural Gas Extraction - Hydraulic Fracturing." United States Environmental Protection Agency. 1 Feb. 2016. Web. 29 Feb. 2016 . This fluid forms horizontal shafts, perpendicular to the dug well, and releases the natural gas encased in the geological formations, deep under the Earth’s surface. Since its manifestation, fracking has been a polarizing subject. The advocates of mining shale gas typically cite the significant lower amount of carbon emissions of natural gas power plants when compared to coal power plants when defending fracking. In addition to the 100,000 jobs that were created between 2005 and 2010 from the fracking industry, natural gas appears to be a viable bridge between a carbon powered and exclusively renewable energy infrastructure. Conversely, the opposition to hydraulic fracturing typically brings up the inherent danger associated with mining fossil fuels, e.g. pipeline spills & leaks, and the massive amounts of fresh water that are consumed in the fracking fluid. Currently, there is no viable solution to treat the water effectively and the fluid is typically injected back into emptied gas wells, rendering the wastewater unusable. One should note that the primary speaking points of both the supporters and opponents of fracking do not conflict with one another, that is, neither set of arguments directly invalidate the others. At its core, harvesting shale gas is a promising endeavor, it creates thousands of jobs across the United States, while providing a significantly cleaner energy source than coal. The issues that arise with fracking are implementation errors. Leaks and water use are problems that can simply be addressed with tightened engineering protocol and governmental regulation "The Hydraulic Fracturing Water Cycle." United States Environmental Protection Agency, 1 June. 2015. Web. 29 Feb. 2016. . If these measures can be put in place, there is no reason that natural gas cannot eventually replace coal in its entirety. As of March 2015, regulations regarding fracking have been proposed by the Obama administration in hopes of both updating and protecting all aspects involved in the fracking process Davenport, Coral. "New Federal Rules Are Set for Fracking." The New York Times [New York] 20 Mar. 2015 . These regulations, although only authorized on public lands, can become a start to more heightened regulations that focus more on the treatment of water that has been used during the fracking process. These proposed guidelines would help ensure the full disclosure of all chemicals that have been used as well as how and where they are being stored in wells. With the development of stricter regulations such as these, companies should reassess their use of fresh water and their disposal of wastewater in hopes of developing more sustainable techniques Spence, David. "Fracking Regulations: Is Federal Hydraulic Fracturing Regulation Around the Corner?" The University of Texas, 2010. Web. 1 Mar. 2016. . These can include alternative forms of fresh water as well as limiting the disposal of wastewater. With all engineering endeavors a certain amount of risk is assumed and fracking is no exception. One of the risks companies that harvest shale gas expose themselves to is the event of a gas leak. These leaks typically occur when there is a poor seal between the bore shafts that are inserted into vertical gas well; these leaks then can leach into aquifers or get released into the atmosphere Easton, Jeff. "Fracking Wastewater Management." Water & Wastewater International. Web. 1 Mar. 2016. . But, it should be understood that fracking is still a relatively immature technology, and as a result it is going to be more accident prone. This should not however, eliminate fracking from being a practiced energy harvesting technique. 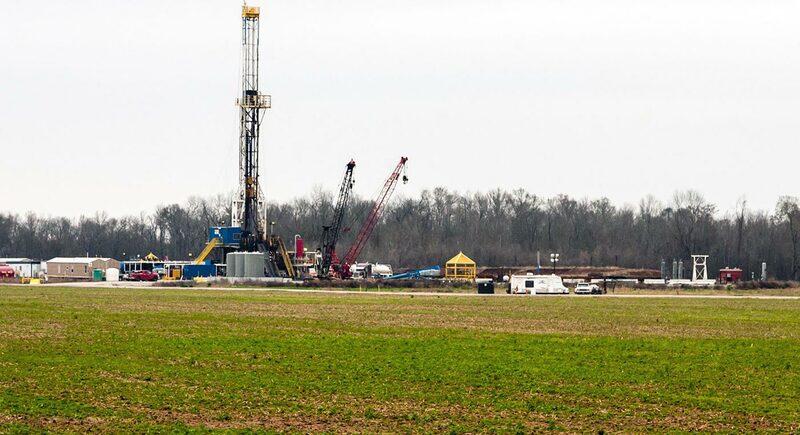 Since the inception of fracking, studies have been conducted focusing on improving the integrity of gas wells and reducing the number of gas leaks, determining one of the primary causes of leaks being cementation issues with the well shaft Ohio State University. "Fracking: Gas leaks from faulty wells linked to contamination in some groundwater." ScienceDaily. 15 September 2014. . These cementations issues are both serious, but simultaneously, very fixable; hence, cementation is an implementation problem. It is undebatable that engineers and scientists still require more time to advance their search for more sustainable energy sources. Although fracking is controversial, natural gas provides a platform which will allow this research to be done without the further devastating effects of coal. With the help of further regulations and safer implementation of wells, the path to renewable energy sources can be paved with natural gas. * This post was co-authored by Isabella Pietracupa. Brennan and Isabella are engineering students at the McGill University in Montreal, Canada. ^ "The Hydraulic Fracturing Water Cycle." United States Environmental Protection Agency, 1 June. 2015. Web. 29 Feb. 2016. ^ Spence, David. "Fracking Regulations: Is Federal Hydraulic Fracturing Regulation Around the Corner?" The University of Texas, 2010. Web. 1 Mar. 2016. ^ Easton, Jeff. "Fracking Wastewater Management." Water & Wastewater International. Web. 1 Mar. 2016. ^ Ohio State University. "Fracking: Gas leaks from faulty wells linked to contamination in some groundwater." ScienceDaily. 15 September 2014.